Finally you can move to electric transporters! Alke' transporters are suitable for all types of use and are sturdy reliable working vehicles, which can also be used for intensive tasks. This type of vehicle is used mainly on large estates, also in hilly areas, and on eco-sustainable farms cultivating organic crops. Why choose Alke' off-road transporters? 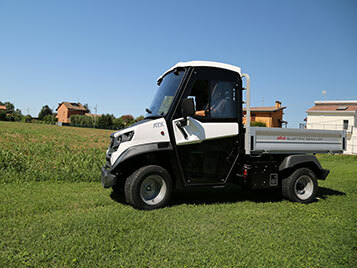 Engine Diesel Electric Alke’ electric vehicles are fitted with AC motors providing high torque and gradual power distribution ideal demanding off-road terrain. Gears Manual Automatic with engine brake The engine brake ensures the high safety standards and perfect descent manoeuvrability. Loading capacity 1000 kg 1575 kg The more robust construction of Alke' ATX makes it possible to have higher pailoads. Driving comfort Poor High Suspensions of Alke' vehciles allow a comfortable driving in any type of ground. 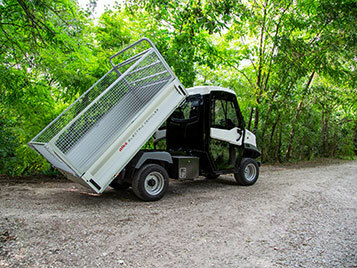 Vehicle width 135-170 cm 127 cm The small width of the transporter allows to operate in restricted areas and mountain paths. But what sets these transporters apart from the other farm utility vehicles already present on the market? Alke' transporters are 100% electric, this means zero emissions of CO2 and therefore respect for the environment and those who work with an eco-friendly approach. The electric motor is silent and lets you work without the constant noise which generally characterises agricultural tractors. Furthermore, the maintenance and management costs are reduced to the minimum and reach a service life which is 3 times that of a traditional agricultural combustion engine. 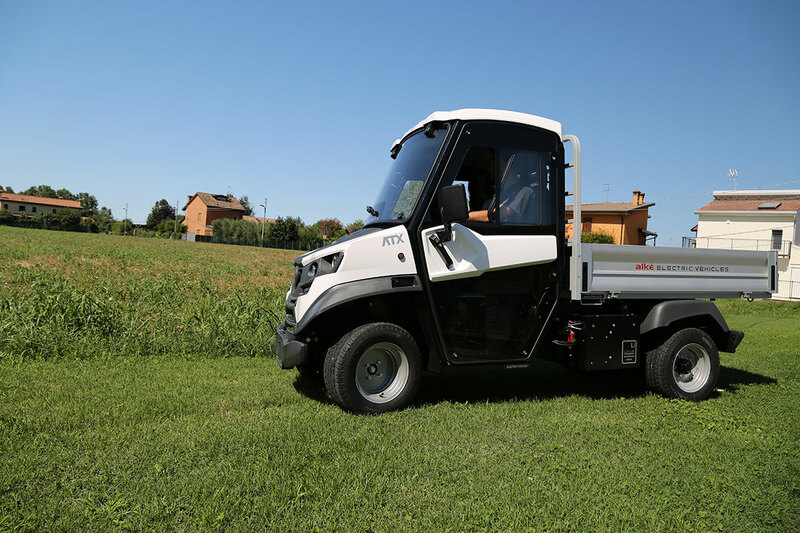 The chassis is sturdy, meaning it can be used in numerous sectors in addition to the agricultural sector, such as the tourism industry, park maintenance, logistics, city centres, etc. They have a load capacity of up to 1575 kg, a towing capacity of up to 4500 kg and can handle a negotiable slope of 35%, making them the perfect vehicle also for hilly areas. 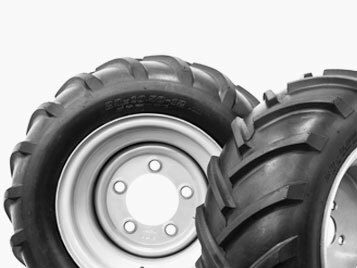 As well as proving themselves to be perfect off road, all Alke' agricultural vehicles are N1 type-approved for road circulation. They are extremely compact agricultural tractors (only 127 cm wide), ideal for places where a limited steering radius is required. At the same time, they are solid, easy to handle and easy to drive. 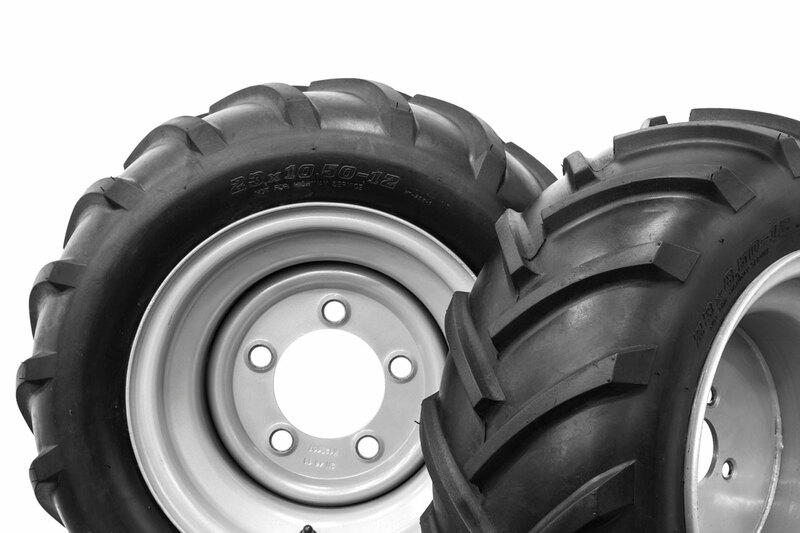 Thanks to the suspensions and the possibility of installing off-road tyres, they are also suitable for off-road use. 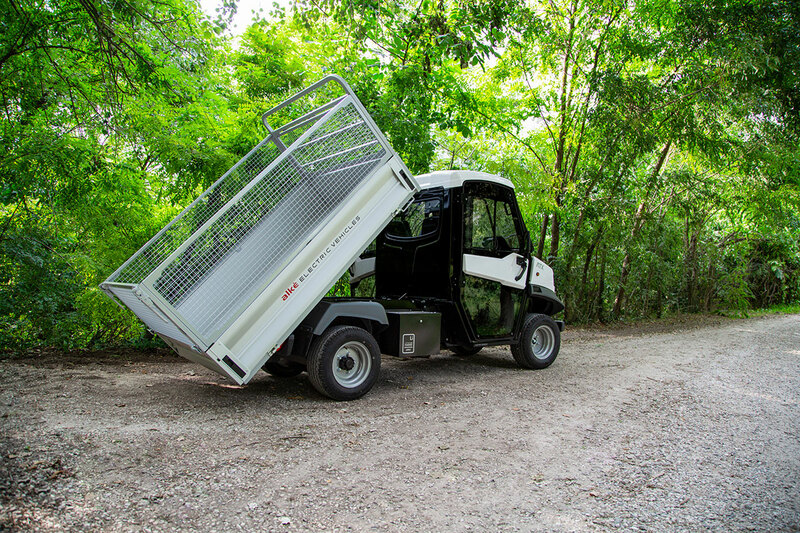 Operators can choose from hundreds of set-ups which meet the most demanding requirements: steel mesh sides, body tarp, cargo bed with aluminium drop sides, flat cargo bed and electro-hydraulic lifting device to name but a few. Send us a message to find out about the prices of Alke' transporters and the most suitable configuration for your requirements.